You'll be learning keys predominantly by ear – the most direct & satisfying way. ‘Dots' will be used only when you feel they help you. We'll be listening to music you have on your ipod to get us started, to find wee rifs, melodies & chords. We'll generally concentrate on a single verse or chorus. Or perhaps even the introduction to a piece, which as this is generally an instrumental, lends itself particularly to the piano. You'll be playing along to your tunes for while. As your confidence builds you'll be playing more & listening less, until the player is turned off altogether. If you sing…that's a great advantage for many pieces & will free you from playing the melody so you can concentrate on all the rest. Exercises will be introduced but only when their uses becomes obvious. It's much easier than you think to understand how to construct chords & playing a melody with the right hand is easier than almost any instrument. No Embouchure to master, no holes to seal perfectly with your fingers, no sliding around on the fingerboard to find just where your note is in tune. The keyboard has all its notes laid right out in front of you like a graph. A basic chord has 3 components. The Root, the third, & the fifth. To find the easiest chord of ‘C', first play a scale of C major. (start on middle C & go up to the next C on the white notes. C,D,E,F,G,A,B,C. The ‘root' is your first C. The third, is your third note ‘E'.The fifth is your fifth note – G. Now play them all together. 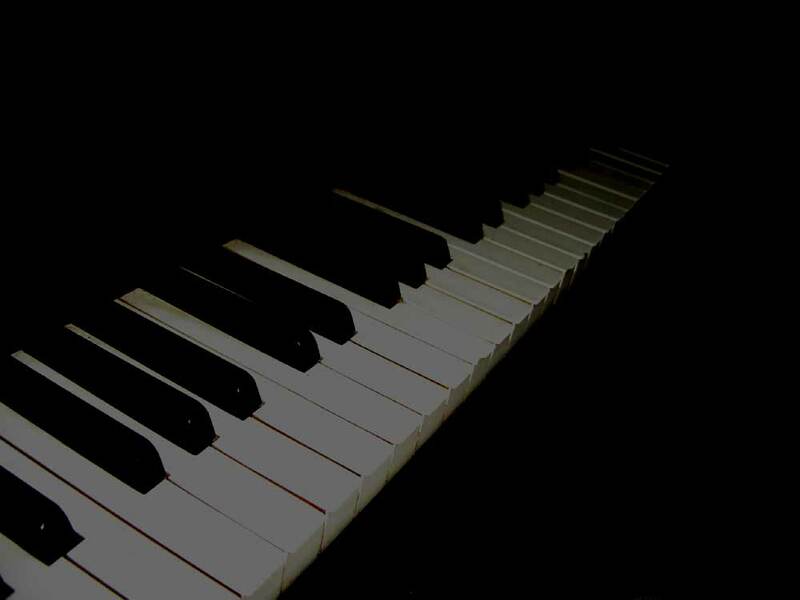 Once you know what notes make up your chord, you can play them anywhere at all on the keyboard in any order. If your chord is made up of a C, E & G, it WILL be C major, even if you choose to play G, C, G in the left & E, G & C in the right. C, E, G is your standard major ‘triad'. E, G, C is what's called a first inversion. G, C, E (with the root in the middle) is a second inversion – but they're all C major when played together. Move every component up (or down) by the same distance (include the black notes) & you can find any major chord on your keyboard. So moving every component of your C major chord up by a semi-tone, will give you a C# major chord, or by a tone, you'll get a D major chord. Notice that for D major, the 3rd is F#. You can find any chord this way & soon you'll know just by the sound of your chord that it's a major chord. You won't need to work it out. You'll just know it's right. This is because the ear recognises the relationships of each note to each other that makes it a major chord (4 semitones to the 3rd , 7 to the 5th ( not counting the start note )). Sceptical?? Don't be! In any chord, drop (or flatten) the 3rd by a semitone & you'll have created it's minor version. C minor therefore has an Eb. You can find the chords to popular songs easily on the net, usually for use with guitar, but they're a great easy way in to accompanying your tune played in the right hand. Interestingly but confusingly, another more jazzy type of 7 chord is known as a ‘major 7' (the word ‘major' here has, irritatingly NOTHING to do with whether you have a major 3rd in the chord or a minor 3rd ) If your head is starting to spin at this point, don't panic! It's not that important. The musical gurus in the past have chosen terminology designed to alienate mere mortals. Don't get me started about the ‘double sharp' Cx (C double sharp) is actually D. SO WHY NOT WRITE D????? Ahhhhhhhhhhh! One of the great advantages to playing by ear, though, is that whatever your instrument, you don't need to transpose anything. You don't even need to know what note you're playing. You just know it's right. Singers don't need dots to find their notes, they just listen & join in. It's no different with a musical instrument, except you may have to play a couple of notes first till you find the right one. The Keyboard is an excellent tutor in musical theory. You don’t need to be able to play it perfectly to benefit from the perfect visual interpretation it will give you of Chords in particular. So if you take it up as a second instrument it will help you with your first instrument. Hammond Organ & Rhodes Piano are classic sounds you get on any reasonable keyboard & though now as old as hat can still make your spine tingle. String sounds and others can add depth & warmth to a bands sound without too much fancy finger work. You can split many keyboards to play different sounds or use different manuals (as on a church organ) or as Ric Wakeman famously pioneered - play different units with each hand. You will be taught how to identify lines, chords & rhythms within the music & reproduce them on the keyboard. You will be taught how to translate what you hear into what you play. The whole ethos of the Newburgh Ear Academy is to develop the ear so that students can play directly what they hear, or hear in their head. However there are two main reasons why learning sheet music can be a good idea when learning the keyboard. 1. Those - especially children, whose ears are really not well developed musically tend to remember the patterns they are taught when taught without sheet music. As each pattern can only be use for that piece it is no long term use. Far better to get them to learn a useful skill instead until the ear is ready. 2. 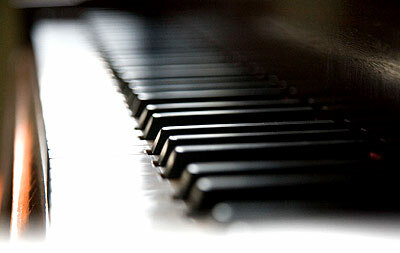 The keyboard is far more complicated than any other instruments as it plays up to 10 notes at the same time. Thus an understanding of sheet music allows the student to make a record as parts are worked out. Once the ear is developed enough to be able to translate things to the keyboard directly, reading is not so important. Indeed the Academy will be keen to develop the direct ear route as soon as possible. Without the dots the player is free to make the numerous variations based on the simple formulas taught at the academy. At some point the student may have to tear themselves away from this safety net. For those who do the rewards are rich. Remember the Beatles & Stevie Wonder have done just fine without it. 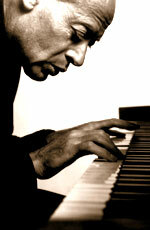 The 'keys' are probably the most versatile of all the instruments. When you consider the guitar, that's saying something. But keyboards is not just piano. Fantastic though it is to be able to sit at a pub - or Auntie's Joanna & bash out a tune, or play some relaxing Chopin or Michael Nyman, playing piano can lead you onto the never-ending array of sounds that come from the modern keyboard. A guitar gives up to 6 different notes at any one time allowing you to play the tune, the bass, the chord & add rhythm too – if you're good enough…. 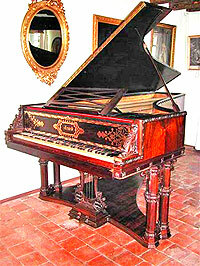 The piano does all this too but with as many tones (notes) playing at once as you have fingers – so more than 6 then. He is though, an expert at reproducing what he hears on the keys or anything else. 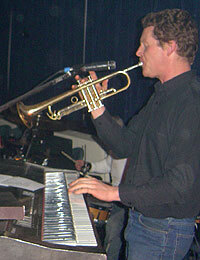 James was a founder member of Edinburgh’s Soul Inferno for whom he played keys for two years. 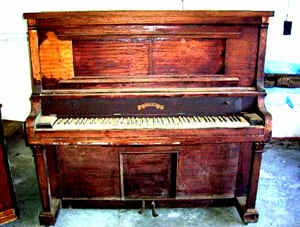 Thanks to those nice people at Google images for all their lovely pianoie pics…..